Top Ways to Create Passive Income Streams "Full Review"
I would like to continue the conversation on Financial Intelligence, today. In yesterday’s article, I talked about the importance of the Personal Financial Statement and the difference between assets and liabilities. Additionally, I also covered the difference between the money mindset of how the Rich invest and how the poor and middle class spend. Let me ask you a question! During your time in school, whether it was high school or college, did you ever take any courses on the best personal finance practices to implement into your life? Unless, you attended a Financial Academy, I am going to guess the answer is “No”. In my opinion, one of the fundamental issues with the current education school system is the lack of financial intelligence that students are allowed to graduate with. Every year more college graduates leave universities knowing everything there is to know about acquiring college student loans, yet they have absolutely no idea how to implement the best personal finance practices into their lives. One of those being the difference between establishing passive income streams versus earned income streams. You don’t need much financial intelligence to establish streams of Earned Income. In fact, all you have to do is go online, submit a few job applications and trade your valuable time for money. That’s right! To establish earned income streams all you have to do is get a job, and guess what? You can get as many jobs as you can physically handle. Passive Income is not quite the same! 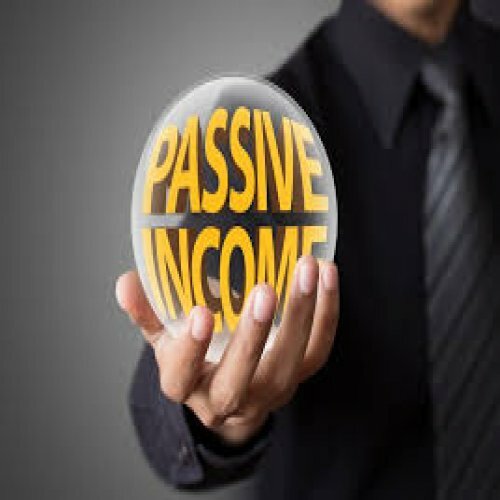 Passive income (often used interchangeably as Residual Income), is income that is earned through assets that you have purchased or created and is usually earned on a recurring basis with little or no effort (time) exerted from your part. For example, if you were to purchase a rental property that rented for $1500 but that would Net $700 after Mortgage, Insurance, Maintenance and Interest we factored, your monthly passive income would be $700. This means that at the end of the month when rent is due, you will earn $700 whether you work or not. Your money works hard for you, not you for it! Unfortunately, school didn’t teach me anything about the importance of financial intelligence or anything regarding implementing known best personal finance practices or strategies. I had to teach this myself by reading personal finance literature from authors like Robert Kiyosaki. Robert Kiyosaki has some of the best personal finance books available today. I say that he has the best personal finance books because, although Kiyosaki doesn’t specifically tell you how to do things, he offers valuable food for mindset and empowers you to take action. I have come to learn that if you want to have an amazing personal financial statement you must buy and invest in assets, as defined by Robert Kiyosaki not Financial Accounting, and concentrate your efforts on establishing passive income streams. Make your money work hard for you, not you for your money. This can be done by investing in real estate or starting a leveraged Internet Business. Make these best personal finance practices a part of your reality. Establish Passive Incomes Stream. Make Your Money Work For You! Thank you so much for taking a Tour on this post (Top Ways to Create Passive Income Streams), we have take time to officially dish out Top Information and Now it’s turn to show us a little gratitude. Help us spread the information by making use of the sharing button Below, and don’t forget to subscribe to get great News and other Information, we wish you success in all your endeavors…Stick around for more Info.